Republican Senator Rand Paul of Kentucky has vowed to delay a $700 billion defense bill until he is promised a vote on amending the use of military force in Afghanistan and Iraq, aiming to end the wars in the two countries. The Senate on Monday took up the National Defense Authorization Act (NDAA), passing a motion in an 89-3 vote which allowed the legislation to proceed. That action essentially limits the procedural debate on the legislation and moves the NDAA to a full vote as early as Wednesday morning. However, Paul made clear on his Twitter account that he had every intention of slowing down the passage of the NDAA – which sets forth the Pentagon's budget and major programs for the next fiscal year beginning October 1 – until he was guaranteed a vote on amending the AUMF in Afghanistan in Iraq. "I will object to all procedural motions and amendments unless and until my amendment is made in order and we vote on these wars,” Paul wrote. He went on to note the length of time that the US military has been present in Afghanistan and Iraq. Paul noted that the Senate was in a “quorum call,” unable to act because of his protest. He vowed to continue the protest until Congress agreed to vote on whether or not to end the wars in Iraq and Afghanistan. The senator said that he “sits nearly alone,” but he is happy to fight by himself if needed. In addition to Paul, the NDAA cloture motion was opposed by Democratic Senator Bernie Sanders of Vermont and Oregon Democrat Ron Wyden. Paul took aim at both the “anti-war left” and the “conservative right” in his series of tweets. “Where is the anti-war left demanding the wars end? Where is the constitional [sic] conservative right demanding Congress reclaim its war powers?” he wrote. 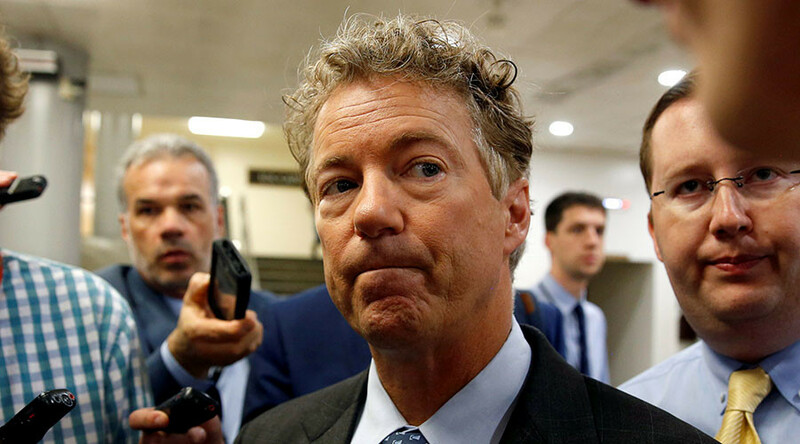 Although an increasing number of lawmakers have been calling on Congress to pass a new AUMF for Afghanistan, Paul has largely been alone in his mission to put a deadline on Congress for a vote. Paul did appear to strike at least a partial deal with Senate Majority Leader Mitch McConnell (R-Ky) about an hour after initially issuing his threats to delay the NDAA passage, with McConnell guaranteeing Paul four hours on Tuesday to state his AUMF reasoning on the Senate floor, the Washington Post reported. The war in Afghanistan, which began in 2001 as a US response to the September 11 attacks, is the longest war in US history. Although former US President Barack Obama dropped the number of US troops in the country to around 10,000, his successor Donald Trump has since vowed a new push against the Taliban, with officials saying earlier this month that his administration is sending 3,500 additional soldiers to Afghanistan. By the time Trump took office, the Taliban controlled more territory than it had during any time since 2001, and Islamic State (IS, formerly ISIS/ISIL) had gained a foothold in the eastern part of the country. The US invaded Iraq in 2003, aiming to topple former leader Saddam Hussein, with the Bush administration claiming his government possessed chemical and biological weapons and nuclear weapons. However, no evidence of such weapons was ever found. Obama declared an end to the combat mission in Iraq in 2010, but was later forced to send troops back to help combat the rise of IS. 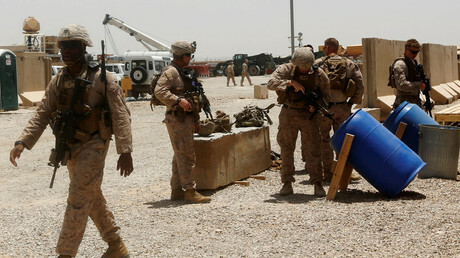 Although Washington says American troops now primarily serve as advisers and will assist Iraqi forces, the spokesman for the military coalition fighting IS told reporters in February that US troops were “absolutely” in combat against extremists in Afghanistan. “Absolutely. When someone is shooting at you, that is combat, yes,” Air Force Col. John Dorrian, the spokesman for the military coalition fighting IS, told reporters at the time.